Do you have a special project on the agenda? Are you looking to get back on track after water or fire damage? Have you ever wondered what your home would look like on the lot miles away? 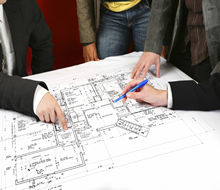 Frank Ferrara & Son, Inc. specializes in all forms of construction. Listed below are a few examples of other services that we offer. If your project is not on the list contact us now to find out how Frank Ferrara & Son, Inc. can assist you on your next project.